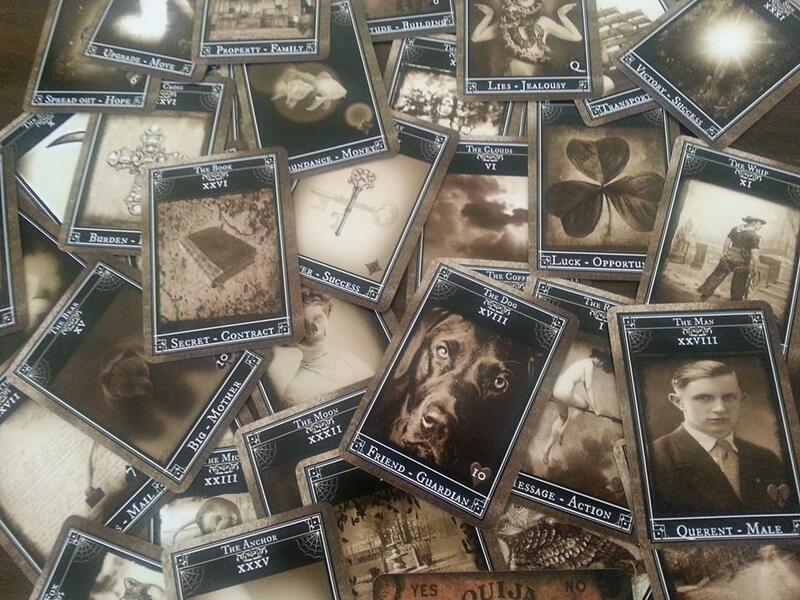 believe that souls of the dead are also thought to revisit their loved ones during this time of high energy. The Gloomy Oracle is inspired by this energy and is the perfect tool to get in touch with Spirits for Halloween and any time of the year. 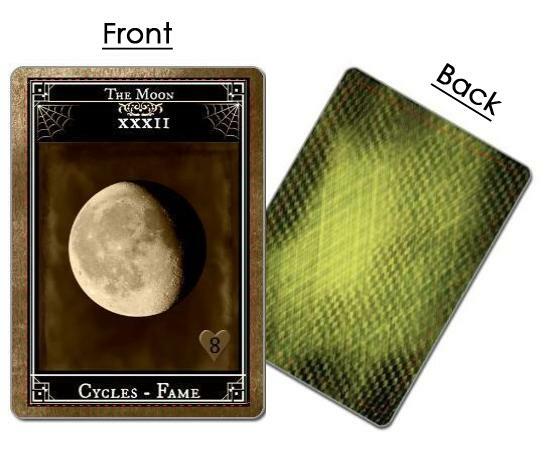 The deck is a 36 lenormand card deck with playing card inserts and keywords in a poker size. An extra set of Gloomy Man, Woman and child card is included. Standard poker-size of 2.5” x 3.5” (63.5mm x 89mm)(39pcs) / with Meaning Sheet / Packaging: Clear plastic box . 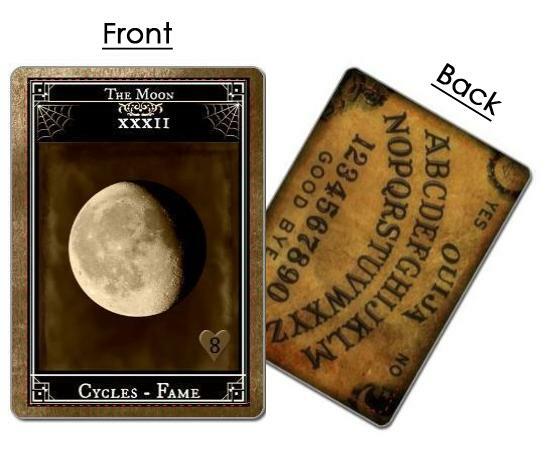 I ordered the Gloomy Oracle with Ouija Board Backing via Paypal. I would also like to get the matching pouch. How much and can they ship together?